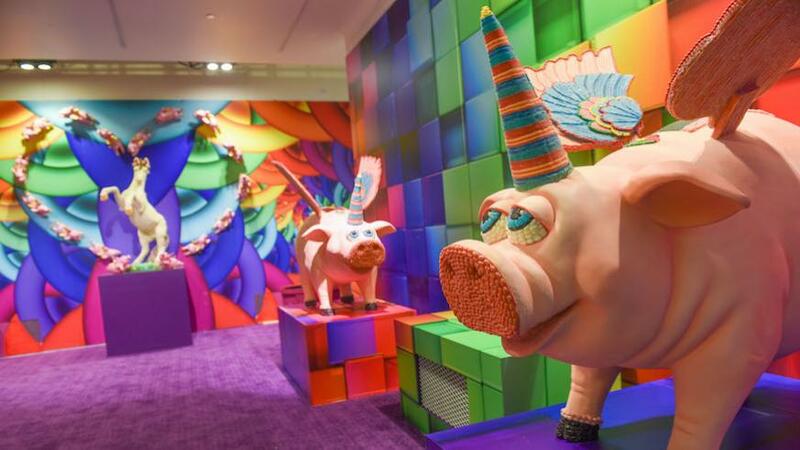 Look out for marshmallow tsunamis and flying unicorn pigs at Candytopia, the pop-up Candyland come to life coming to New York. Take a dip in an ocean of marshmallows at Candytopia. Summer in New York City is about to get a whole lot sweeter with the arrival of California’s smash hit pop-up Candytopia. After selling out its debut in Santa Monica earlier this year — helped by celebrity cameos from Gwyneth Paltrow, Josh Duhamel, Christina Aguilera, Wiz Khalifa and Alessandra Ambrosio — the latest in Instagram-oriented art galleries will open in Midtown Manhattan in late summer. 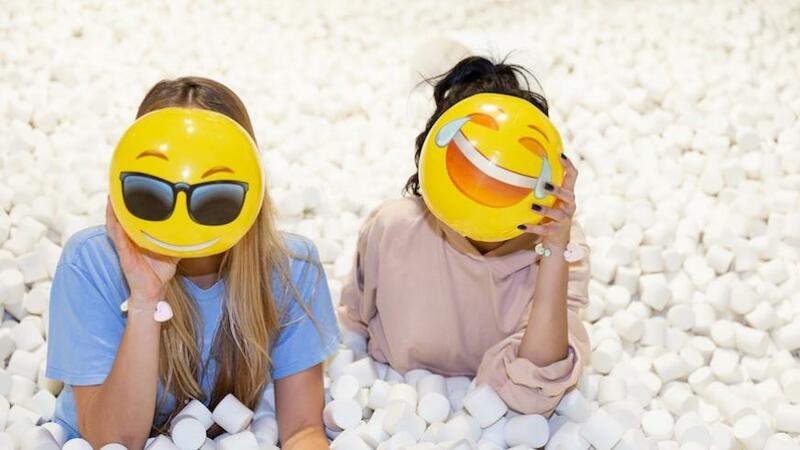 Satisfy your sweet tooth across 12 rooms of larger-than-life interactive art installations “inspired by pure, sugary bliss” dreamed up by “candy stylist” Jackie Sorkin, with production design by Zac Hartog. As the photos above show, Candytopia is going to be equal parts delicious and weird — which is to say, Willy Wonka would be proud. 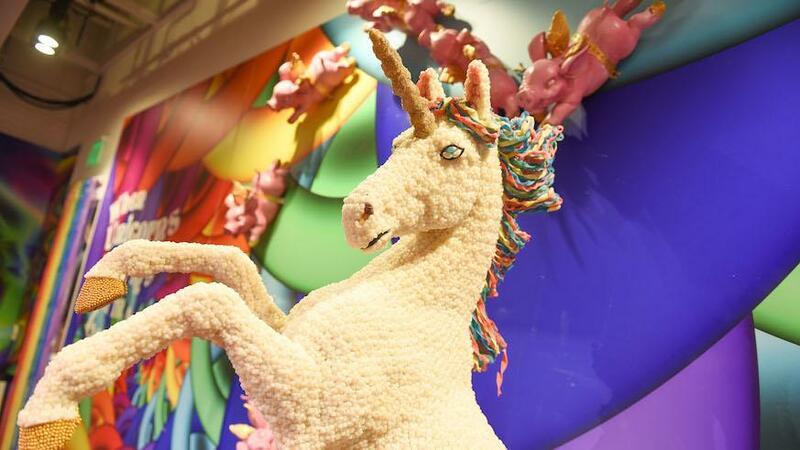 There are flying unicorn pigs and an “ocean” made of marshmallows (read: the requisite ball pit) and even a crystal throne from which to look upon your sweet domain — beginning to get the picture, or at least sugar shock by proxy? While all the most popular attractions from California will be making the trek to the East Coast, expect some New York-inspired elements too. In addition to surreal photo ops, there will be sweet treats for all throughout the exhibit, from nostalgic favorites to sour candies and chocolates. Ticket prices and on-sale dates are still TBD — we’ll update with that info when it drops. Photo-centric pop-ups are definitely the trend of Summer 2018 in New York. 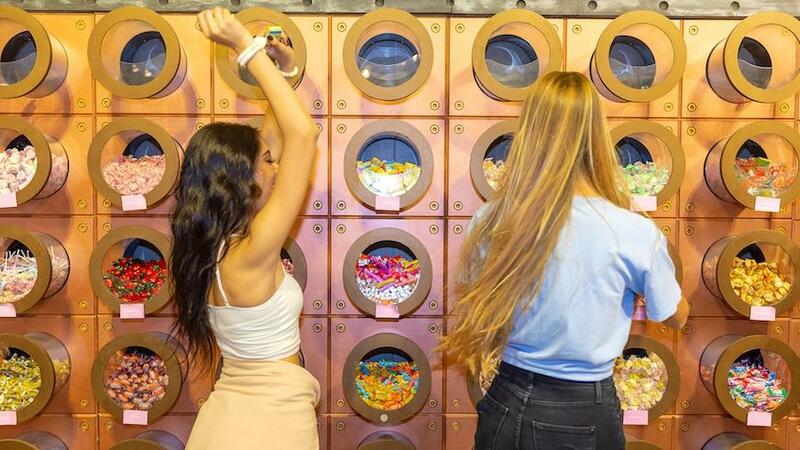 The arrival of Candytopia will complete New York’s dessert gallery trifecta alongside the Museum of Ice Cream’s new Pint Shop and Jacques Torres’ Chocolate Museum. The exhibits aren’t limited to food, either. Brooklyn's sleep-themed Dream Machine just extended its whimsical tenure through July (there's also an infinity room midway through), while the new Happy-Go-Lucky Exhibit featuring a crystal palace straight out of Sailor Moon is open now through July 8. Still to come is another California sensation, the Color Factory, expected to open sometime in August, while a permanent Museum of Candy by Sugar Factory is coming "soon." Candy and chocolate samples abound at Candytopia. 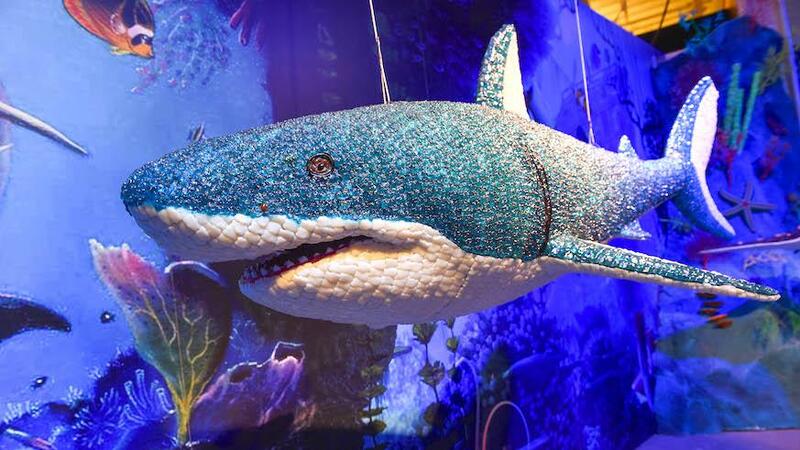 What does a glittery shark have to do with candy? Unclear! An ocean of marshmallows? Yes, please. When pigs fly, you're in Candytopia. Ride that unicorn straight to Candytopia.